Our conference is coming up later this month, and we’re looking forward to the range and diversity of papers, conversations, and performance work that will be descending upon South West London in what we’re all confident will be a rare weekend of British Bank Holiday sun. 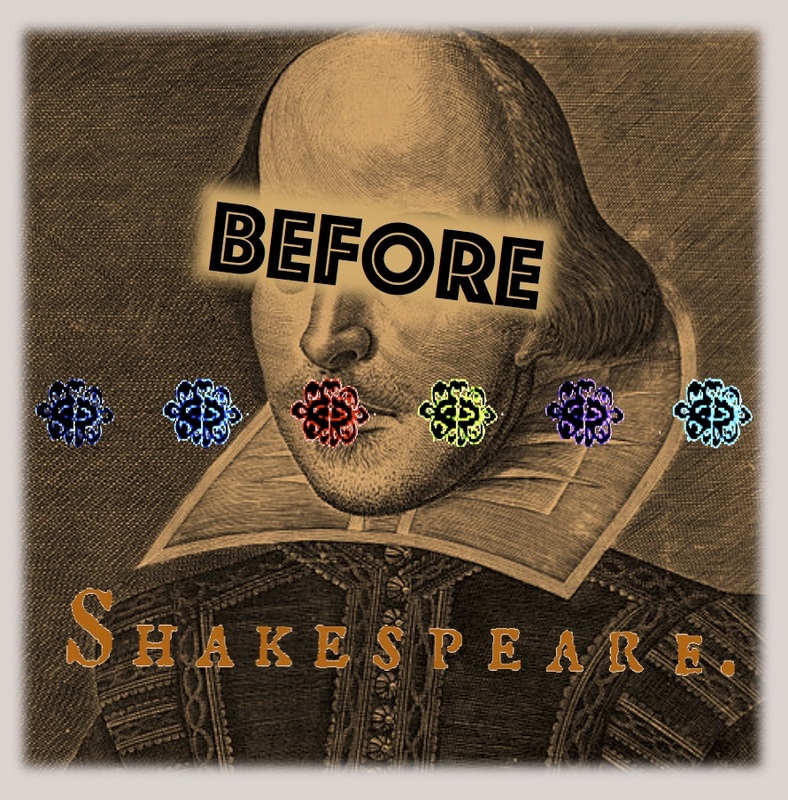 This short post reflects on some of the issues that have been raised in the course of a year and a third of Before Shakespeare-ing as we prepare for a wider forum of discussion on the mid-Elizabethan period. The project has particular momentum heading into the event thanks to the buzz around James Wallace’s production of The Woman in the Moon, playing in the Sam Wanamaker Playhouse in Shakespeare’s Globe on Friday 18 and Saturday 19 August (this coming weekend). I have been lucky enough to stick my head into rehearsals; it’s been both instructive and enjoyable to see actors moving between and adopting different roles, deities, and character types—especially as the cast has among it vast experience of Read Not Dead roles and a number of actors have taken on roles in our workshop on The Three Ladies of London and in our three Read Not Dead readings at Shakespeare’s Globe. For me, the opening rehearsal and workshop on deities, destiny, and human agency laid bare some of the echoes and affinities between a number of these early plays. The actor Leo Wan appeared in our Read Not Dead reading of The Rare Triumphs of Love and Fortune (dir. John Hopkins) as a fleet-footed Mercury (as well as everymanesque Simplicity in The Three Ladies of London); in The Woman in the Moon, he stands in opposition to Amar Duffus’s fluid but deliberate and devious Mercury in his role as the merciful and mild Sol. During the workshop, James introduced actors to Robert Greene’s Planetomachia (1585), a prose fiction that combines astrology with historical and mythical tales; Greene’s text is a fascinating example of sixteenth-century prose writing in which fiction bumps into what might be seen as proto-scientific thought. Greene associates different planets with different medical conditions, bodily matter, blood and humours. After working with Greene and with Marsilio Ficino’s astrological writing (a parallel to Lyly’s own preparation for writing the play), James asked each actor in turn to teach the people in the room how to move like their own character. The varying shifts of speed, weight, deliberation, and direction emphasised the creative choices made by the actor while also drawing on the contextual inspiration for those choices. Indeed, seeing Leo inhabiting the body, so to speak, of another play’s Mercury opened up (for me as an observer, at least) the range of different significations, performance choices, and actorly agency offered across different deity-driven plays. This opening cosmic blazon centres our attention on physicality from the get-go (and cues the planets’ ironic irritation at being transmuted into a literary device/robbed for the creation of woman). James’s intersection of Elizabethan prose-romance-astronomy with actorly interpretation underscored the various possibilities of physicality that accompany the playtext. As a gloss on Andy Kesson’s words about performance and interpretation in our previous post, the exercise suggested for me the creative and the scholarly benefits of combining resources and approaches: performance, archive, text, imagination. As a central aspect of Elizabethan culture and performance, the project has been interested in the sound of prose and verse from the 1570s and 1580s—its fluidity and fecundity in this early period of commercial drama. Our first Read Not Dead, The Rare Triumphs of Love and Fortune (14 May 2017), is one of the most metrically diverse plays among surviving early modern texts. It was thrilling to see it play with such vigour and verve (despite seeming rather difficult at times on the page). The conference will continue to expand questions beyond the playhouse walls to thinking about different forms of writing and their relationship to dramatic construction in this period. Indeed, much of the archival research on the project has been about metaphorically looking beyond the playhouse walls while at the same time being fascinated that those walls exist. The tearing down and putting up of walls is something of a theme with early playhouses, and it’s no surprise that one of Richard Farrant’s first moves upon entering the Blackfriars was to tear down a partition—to the apparent chagrin of his landlord. All of which is to say, we’ve been thinking a lot about what surrounds playhouses, both literally and figuratively. It will be useful to extend this discussion next week, when we’ll be talking about everything from the gravel on a theatre doorstep to the geographies of early modern cities. That relationship between the big and the small will hopefully achieve something of a harmony when we all gather at Roehampton. We can’t wait for detailed papers featuring maps, pictures, and graphs, but we’re also looking forward to some meditation on the big picture. That begins from the outset with Bill Ingram’s opening keynote, “What we talk about when we talk about theatre history,” and is rounded off in our roundtable exploring questions as fundamental as what such a category or label might even mean (questions Lucy and I have approached through particular theatre historians in earlier posts). PS: For a blog summary of some of what we’ve been up to, see our birthday post from earlier this year.